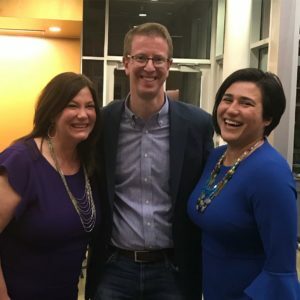 During the March meeting of the 26th LD Democrats, Democratic Precinct Committee Officers in attendance voted to give early approval to Emily Randall, who is running for the 26th Legislative District State Senate seat against Jan Angel, and Connie FitzPatrick, who is running for the 26th Legislative District State Representative seat against Jesse Young. At the April Executive Board Meeting Joy Stanford ,who is running against Michelle Caldier was also given an emergency early approval. Congratulations to all three candidates and we wish them good luck on their campaigns!